The Pichavaram is one of the best tourist places in Tamilnadu. It is located in very near to Chidambaram, Guddalore District, Tamil Nadu, South India. The Pichavaram is the second largest mangrove forest in the world and it is also one of the unique eco-tourism places in south India. The backwater of the rivers like Vellar and coleroon are interconnected and it makes the water sports like rowing, kayaking and canoeing. There are thousands and thousands of mangrove trees are rooted into the water with the length of few feet inside the water. The mangrove occurrences in Pichavaram forest makes the surroundings neat and clean with the eco-environment. The mangrove trees and its leaves having some rare species which makes good environmental condition. It gives many economical usages and attract the birds also. The huge amount of birds are coming to here every year. Many birds are coming from foreign countries also. The birds like Watersnips, Cormorants, Egrets, Storks, Herons, Spoonbills and Pelicans are coming here for the season. The best season for the birds is from September to April every year. The more birds can be seen from November to January. By Road:There are many roots are available by road. one root is East Coast Road to Pondicherry and another root is the Cuddalore Road and then the bypass to Chidambaram, a total of 248 km from Chennai and 357 Km from Coimbatore. Buses run frequently to Chidambaram and from there to Pichavaram is about 16 KMS. By Rail: The Chidambaram rail root connects to Chennai, Kumbakonam, Madurai, Tiruchirapalli, and Thanjavur. By Air: The nearest airport is Tiruchirapalli, 168 km. from Chidambaram. There is no good resorts and hotels available in Pichavaram to stay. The nearest town, Chidambaram is the best place to stay while going to tour or one day trip to Pichavaram. When we are going a family trip to Pichavaram, We can take a separate boat and travel to all the places of mangrove forest. 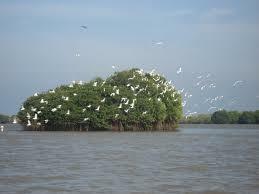 There are many islands which are fully covered by mangrove trees . It will be very beautiful to see and amazing to visit. 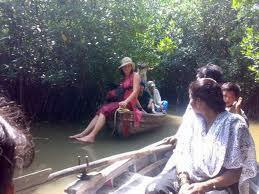 Many peoples from allover India and also from other countries are coming regularly to this tourist destination. But, so many people of Tamilnadu are not knowing about this place.